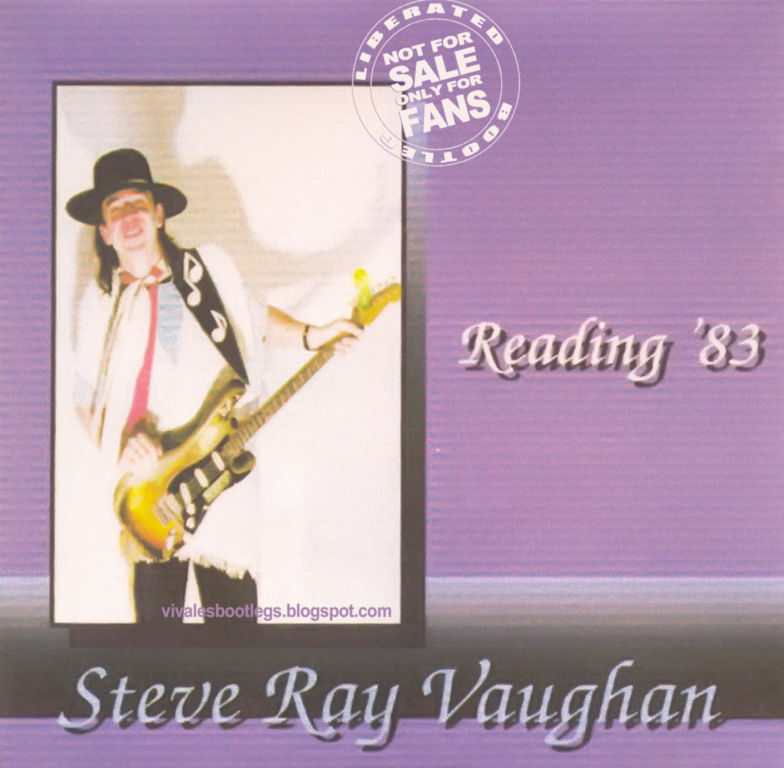 Recorded Live at Apollo Theatre, Manchester, England, UK - June 22, 1988 + Reading Festival, Reading, England, UK - August 28, 1983. 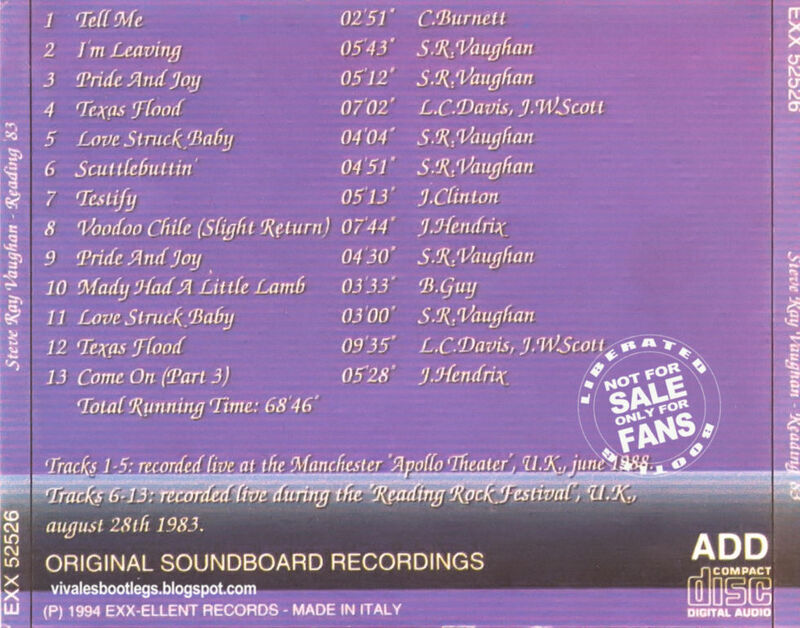 Excellent Soundboard Recording :: ItalianBootleg :: Silver CD :: CBR 320 kbps & FLAC. Files: 13. :: Size: 157.31 MB (mp3) / 452 MB (flac) . Personnel: Stevie Ray Vaughan: Vocals, Guitar :: Tommy Shannon: Fender Bass :: Chris "Whipper" Layton: Drums :: Reese Wynans: Keyboards(Manchester 1988-06-22) . 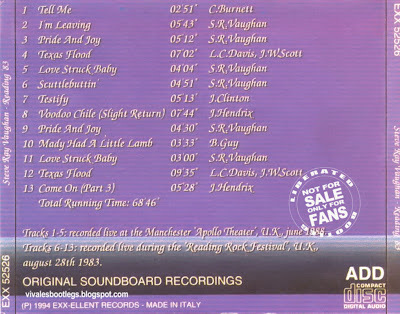 Notes: Reading '83 - UK Radio Broadcast, 1983 & 1988 :: Apollo Theater, Manchester, England (tracks 1-5), 22 jun 88 Reading Rock Festival, England (tracks 6-13), 27 aug 83.<-(Info taken from original info file).